Virasakdi Futrakul, Deputy Minister for Foreign Affairs of the Kingdom of Thailand, addresses the seventy-third session of the United Nations General Assembly. 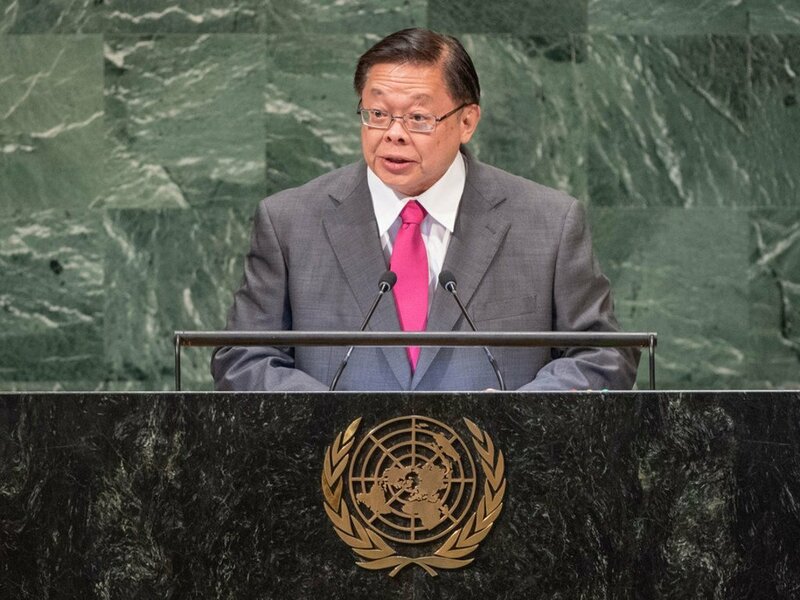 The United Nations needs to adapt to meet the challenges facing the world, Thailand’s Deputy Foreign Minister Virasakdi Futrakul told the General Assembly on Monday, endorsing Secretary General António Guterres’s efforts to make the Organization more effective. “The United Nations needs to adapt to meet the challenges of the VUCA (volatility, uncertainty, complexity and ambiguity) environment to fulfil its noble mission of peace and security, development, and human rights,” he said on the last day of speeches by delegation leaders to the Assembly’s annual debate, which has seen scores of presidents and prime ministers lay out their vision for the future. Declaring that Thailand has been actively translating principles enshrined in the UN Charter into practices, to promote peace and security, to foster sustainable development, and to safeguard human rights, Mr. Virasakdi cited Thai participation in 20 peacekeeping and related missions since 1950 and highlighted his country’s efforts to achieve the Sustainable Development Goals (SDGs) by 2030. He noted Thailand’s efforts to improve health, human rights and economic development, mitigate natural and manmade disasters, clean up oceans, and promote, and promote public-private partnerships in facing multiple challenges. “We support the Secretary-General’s commitment to forge stronger linkages between peace, security and sustainable development, as we believe that it is indeed the economic and social development of the communities, and of the people, that stands at the centre of sustaining peace,” he declared, calling for reforms to make the UN Security Council more representative, more inclusive and more democratic. Every year, in September, global leaders and change-makers gather at United Nations Headquarters in New York for two weeks, to discuss the burning issues of our time and set the global agenda for the year ahead. 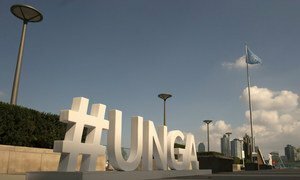 The 73rd session of the UN General Assembly opened this week and the body’s annual high-level segment – formally known as the ‘general debate’ – begins on Tuesday, 25 September, where every country’s leader gets to address the world.